cute bear. He looks nothing like my bear. 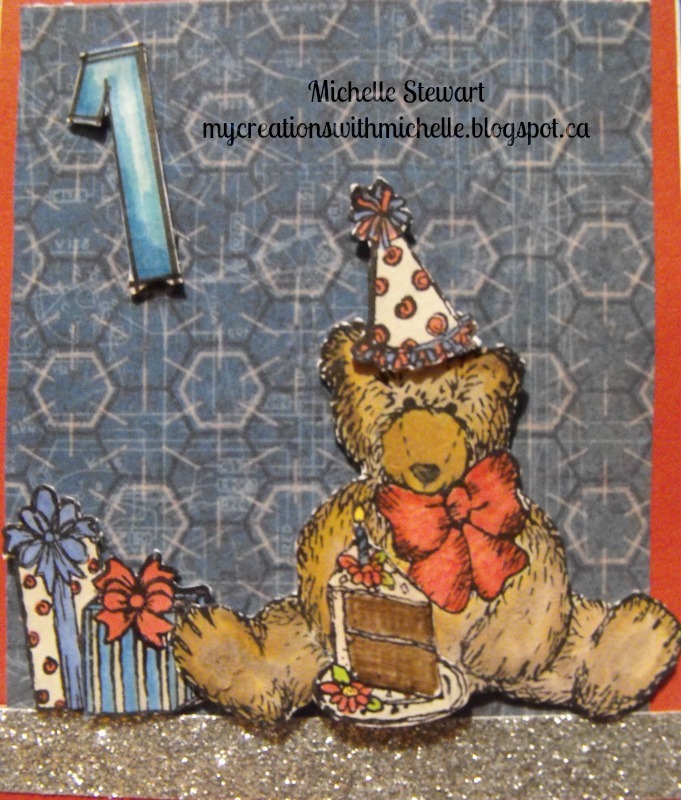 I am always amazed to see how each one of us can create something different using the same stamp set. Such a cute little bear...I love the shading in him! Great job with coloring the cute bear! love it! that is a cute bear. So cute!! This is the only set I don't have and now I have seen your card, I really have to get it! Great job, Michelle! Love all the colouring and layering, looks great! What a cute card Michelle! & you did a great job coloring! Cute card. Love the coloring. I had this set in wood and sold it when we went all acrylic. It was one of the first thing I purchased from the new catty. I just need to get off the computer now and go play.